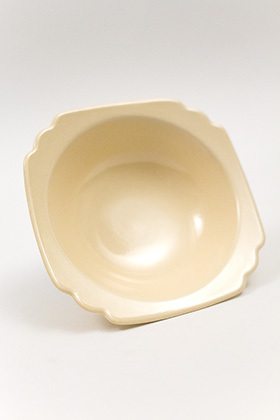 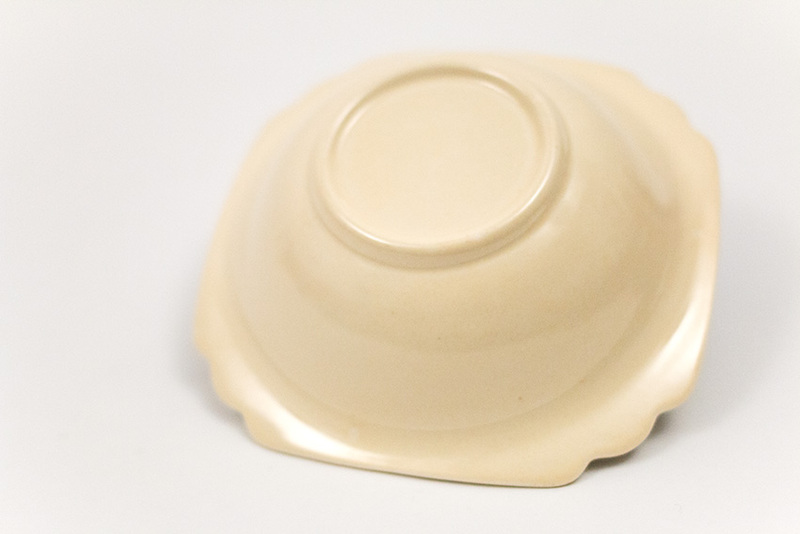 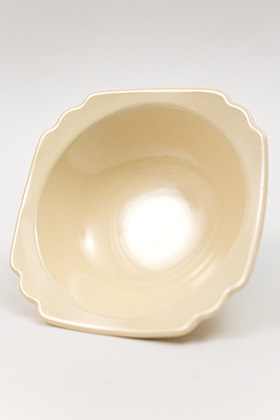 Circa 1938-1948: The vintage Riviera pottery oatmeal bowl was added to the line right before Christmas in 1938. 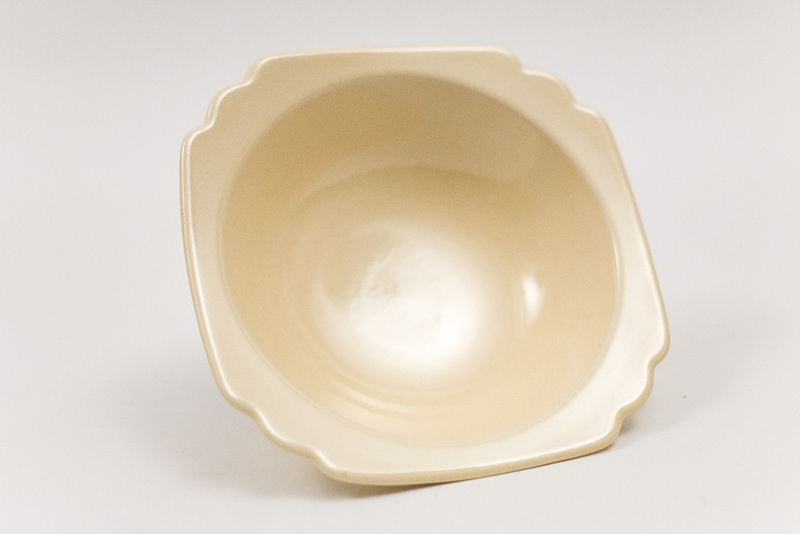 A great piece of pottery, surprisingly large for the otherwise petite Riviera line, the oatmeal bowl is the perfect size for many uses and is a delight to see dipped in your favorite color. The complex Homer Laughlin ivory vellum glaze makes a great statement on the delightful, harder to find oatmeal bowl shape. 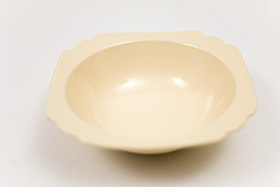 Without damage or use. 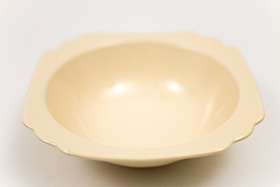 Measures 6 1/4" x 2".